Forehead Chakra Pendant with sapphire-colored glass. 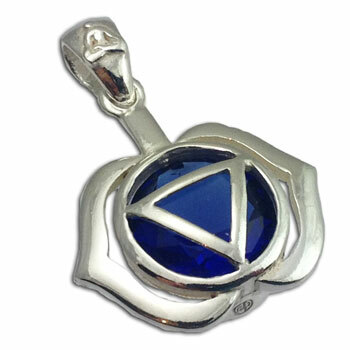 The third-eye chakra pendant is made of sterling silver and is 2 cm (3/4 inch). Forehead Chakra (ajna): Intuition. Wisdom. Insight.